IT-3408 series refrigeration oils are heavy-duty refrigeration compressor oils made from select base stocks for minimum carbon deposits. These have special additives for resistance to ammonia and other refrigerants and contains exclusive wear-reducing additives. These oils are however, not recommended for use with HFC refrigerants. The oils have inherently excellent low temperature characteristics with a highly effective additive package, creating peak performance under the rigorous conditions encountered in refrigeration systems. Refrigeration Compressor Oils offered comprise quality processed finish based oils that help in providing freedom from moisture while allowing excellent low temperature fluidity characteristics. Further, its quality formulation finish and refined, specially treated petroleum base also helps the oil provide for high resistance from natural oxidation with low carbon residue. Some of its features include offer excellent resistance to harmful deposit formation at higher operating temperatures; support increasing of oil change intervals in compressors. With sincerity and hard work of our professionals, we have carved a niche for ourselves in this domain by offering Compressor Oils. The entire range is formulated using optimum quality ingredients and other additives, by our vendors' skilled professionals. In order to ensure quality, our vendors' quality controllers test the entire range against various parameters. In tune with international set standard, we provide the entire range in various packaging options and at industrial leading prices. 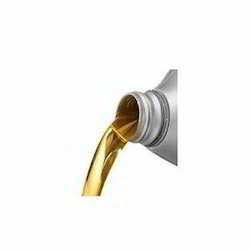 Air Compressor Oil offered come with low friction support and as quality processed synthetic oils, these come with good thermal conductivity as well as meet the demands of reducing of operating temperatures. Further, these oils also support reducing corrosion, emulsion and also readily separate from water. Some of its features include support reducing oil water emulsion that degrade ability of oil to lubricate; support extending service life of compressor lube; also protect air compressor components from water corrosion; support cleaning system component that control carbon build up possibilities. The Chemlube PAO oils are formulated from 100% synthetic base stocks for superior performance. Scheduled changed may be extended to 8000 hours on the Chemlubes and 2-4,000 hours on the Omnilubes.RBOT Test: The Chemlube PAO oils offer unsurpassed results when tested for oxidation stability utilizing the ASTM RBOT (Rotary Bomb) test. 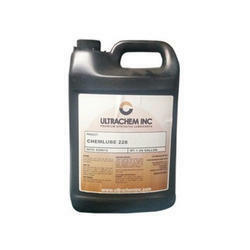 Chemlube 228 outperforms some competitive products by a margin of three to one. The “S” series offer a new approach to synthetic lubricants and high performance in rotary screw air compressors. Utilizing the latest technology available in combination with extreme lubricant additive experience, we have designed a less expensive synthetic with a better lubricant performance. 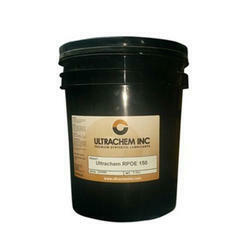 Ultrachem PS Series are blends of synthetic and premium petroleum base fluids designed for use in rotary screw and vane air compressors. The unique additive systems and synthetic components in these products make them greatly superior to petroleum products. Premium Petroleum Lubricants: The P-ACO Series is a high performance, multifunctional range of lubricants designed for use in many industrial applications. These are considered environmentally friendly since they arezinc free. 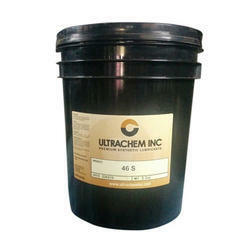 Ultrachem offers these premium petroleum oils as an answer to low cost petroleum oil where OEM specifications are critical. They are also useful where frequent change outs are necessary due to poor environments prone to contamination from dust, acids, solvents, gases or other contaminants. 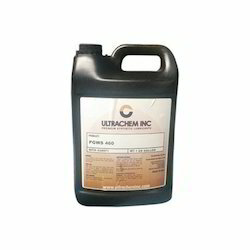 The Ultrachem PGWS Series of synthetic oils are polyglycol-based for use in compressors, vacuum pumps, enclosed gears, bearing, and other applications where the unique properties of these fluids are necessary. The use of PGWS oils in gas compression preserves the unique viscosity-temperature relationships of these unique products by resisting thinning out by hydrocarbon dilution. Chemlube 932, 946 and 968 are designed for 10,000 hours of use in rotary vane and screw compressors and Chemlube 9100 is designed for long life superior lubrication of reciprocating compressors. These products are greater than 90% biodegradable as measured by CEC L33 biodegradability test. 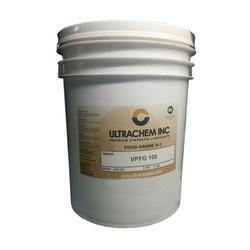 New additive technology assures long lasting protection for 10,000 hours. 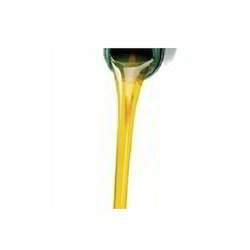 Diester Oils Chemlube Diester oils are specially formulated for use in a wide variety of air compressors and vacuum pumps.Useful Life: These Chemlubes are useful under normal operating conditions for 8000 hours in rotary screw units, 4000 hours in rotary vanes and 8000 hours in reciprocating crankcases. 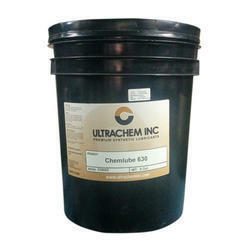 Please contact Ultrachem for scheduled change intervals on high pressure units.Energy reduction: These Chemlubes have extensive data showing energy reductions on compressor drive units averaging 6.7% on reciprocating compressors and 8.3% on rotary screws.Compatibility: The diester oils are compatible with most currently used compressor components including seals, paints and plastics. However, some materials are not recommended for use with diester oils. 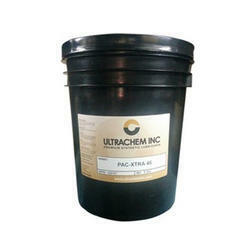 Please contact Ultrachem for further information. Chemlube 630 and 632 are excellent synthetic PAO based lubricants, in two viscosities, used for lubrication of positive displacement blowers. The unique additive system offers protection for bearings and gears while maintaining their effectiveness over a long period of time. Suitable for use in Roots®, Kaeser®, Duroflow®, and Gardner Denver® PD Blowers.Centrifugal CF32 and CF46 Compressor Oils:Chemlube CF's are highly effective blends of synthetic base fluids designed to withstand the demands of slow moving bull gears and high speed bearings. CF oils will offer energy savings resulting from reduced friction over traditional petroleum turbine oils, as well as extra protection for long life.Chemlube CV:Designed for centrifugal air compressors, it is made with a very stable synthetic base oil. A suitable replacement for l/R OCV-o.Chemlube Plus 10 and Chemlube Plus 68: These two oils were designed to take advantage of superior lubricating properties inherent in Polyol esters, and yet be economical, by combining them with less expensive synthetics. They will not varnish under normal operating conditions and are less likely to varnish under high temperature applications. Unlike PAG fluids, they are more resistant to acidic intake air. 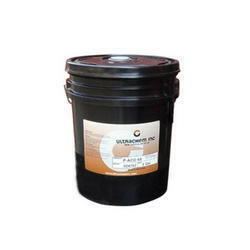 You can expect to obtain well over 8,000 hours under normal temperatures.Silicone Compressor Oil: Platinum BTG(Better Than Gold) is a super-premium synthetic silicone compressor fluid designed to replace OEM silicone fluids in rotary screw compressors. This product is specially formulated with silicone base fluid and appropriate additives to perform over an extremely long period of time. It is fortified against rust, corrosion, oxidation and wear.Ultraclean: Ultraclean is a highly detergent diester specially formulated as a rotary screw cleaner and system flush. It is safe for use up to 500 hours in these applications, and is soluble in petroleum, PAO, PAG and ester-based lubricants and coolants. Ultraclean is most effective when used at full strength. It may be considered biodegradable, but should be disposed of in accordance with all regulations.UltraGold: For use in centrifugal compressors that require an ISO 32 viscosity. Based on thermally and oxidatively stable Polyol ester/polyalkylene glycol blend. 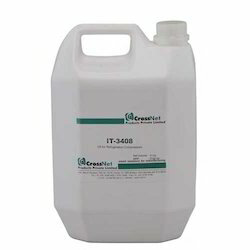 A replacement for l/R Techtrol Gold. Applications: The Ultrachem PGWI Series of synthetic oils are polyglycol-based compressor oils designed for use in compressors and vacuum pumps compressing polar gases, such as NH3, CO2 and propane. They offer excellent rust resistance and are excellent in wet gas compression.CAUTION: Care should be taken not to mix these oils with petroleum or synthetic hydrocarbon products, THEY ARE NOT COMPATIBLE.